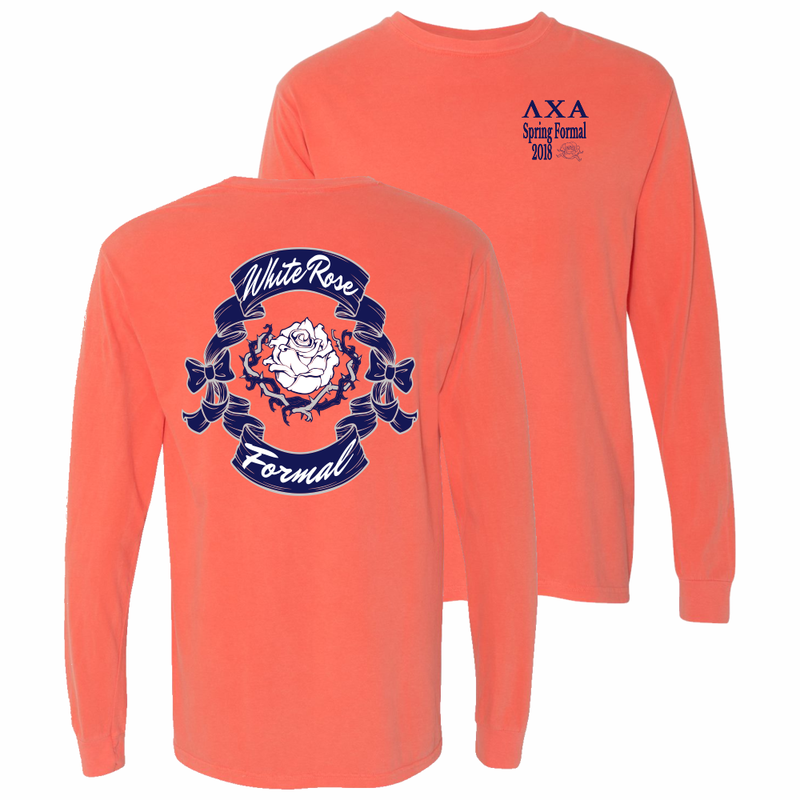 GET THE RECRUITMENT SHIRTS YOU WANT & NEED! 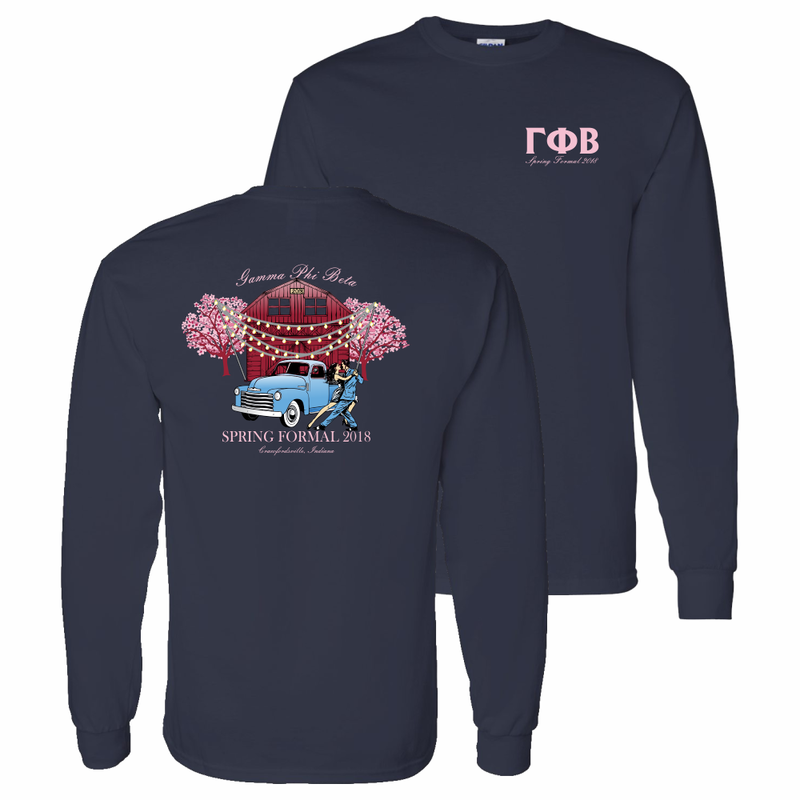 Graphic FX makes it simple to get exactly what you need: Custom Greek shirts to make your chapter look their best! Click the "Design Now" button to see how easy it is! LIMITED TIME OFFER: FREE SETUP AND SHIPPING! All you need to do is respond to this offer, before time expires, and get started on the shirt design and quote. We will figure out what shirts you want, get the design approved, and send you a quote with NO SETUP and NO SHIPPING FEES! You will need to have your order placed and paid for within 30 days from initial contact. We will then print your shirts and ship them to you anywhere in the USA at no charge. And, if you need us to delay shipping until closer to time we can do that as well, just let me know. Not ready to order? No problem! We got you covered! As long as you give us your design idea in time, our artists can create an amazing custom graphic that you will be proud to wear. It costs nothing to get started! Check it out! We are Greek Shirt Experts! We know how to make your #GreekLife easy. 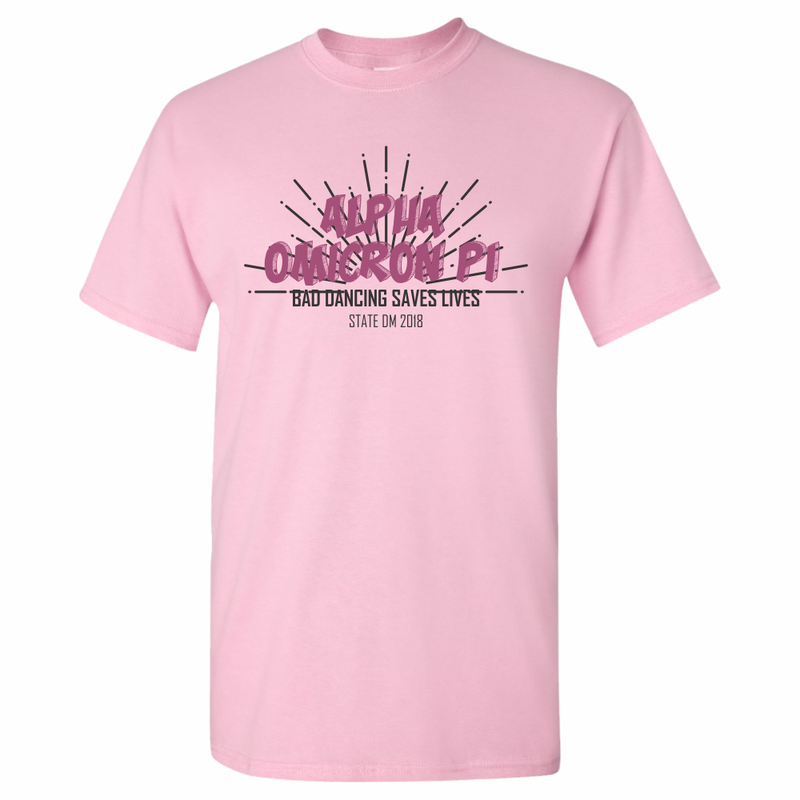 We all know that you have to use a Greek Product licensed vendor when getting shirts for your events and parties. What you may not know is that Graphic FX is that vendor. We are licensed with Affinity and I will keep you informed of every step in the approval process. If you are new to ordering, or your previous vendor didn’t tell you, I want to make sure you know how it all works. All you need to do is let me know what kind of shirts you want and an idea for the design (if you don’t have a direction, just let me know the event and theme and we’ll create something for you). Our artists will then make your graphic and mock it up on your shirt. Once you approve of the design (or two), I will then send them to the Licensing Company for their approval before printing the order. I will let you know as soon as the artwork is approved, or if they ask for a revision. With Recruitment coming this new Academic Year, I know you want to put your best foot forward. One way to do that is to get the perfect shirts, with the best designs. 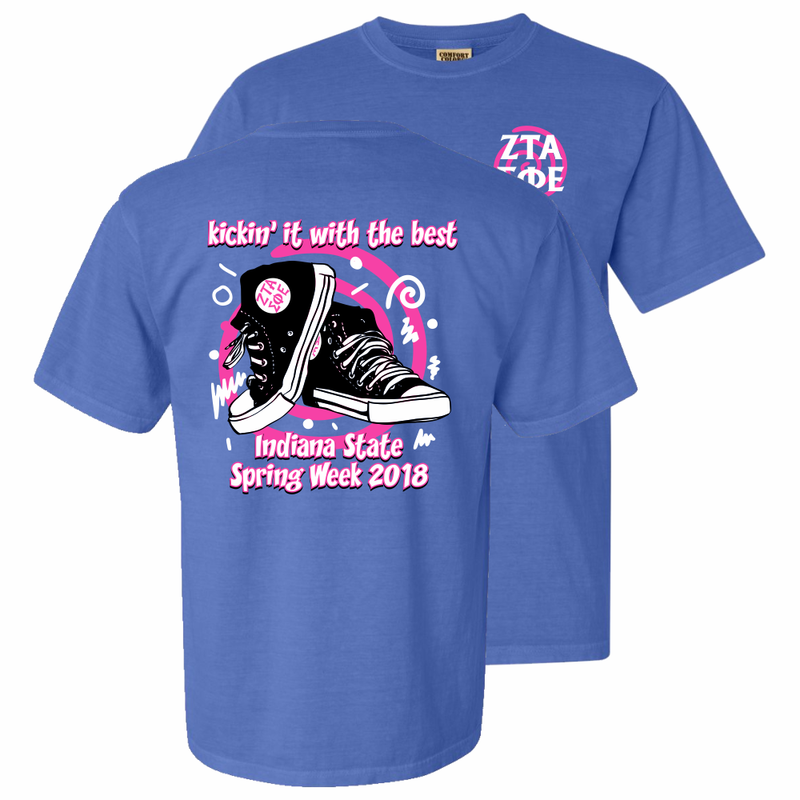 Not only will this show your pride in belonging with your Greek House, it will spark conversation and open the door to talking with new recruits. 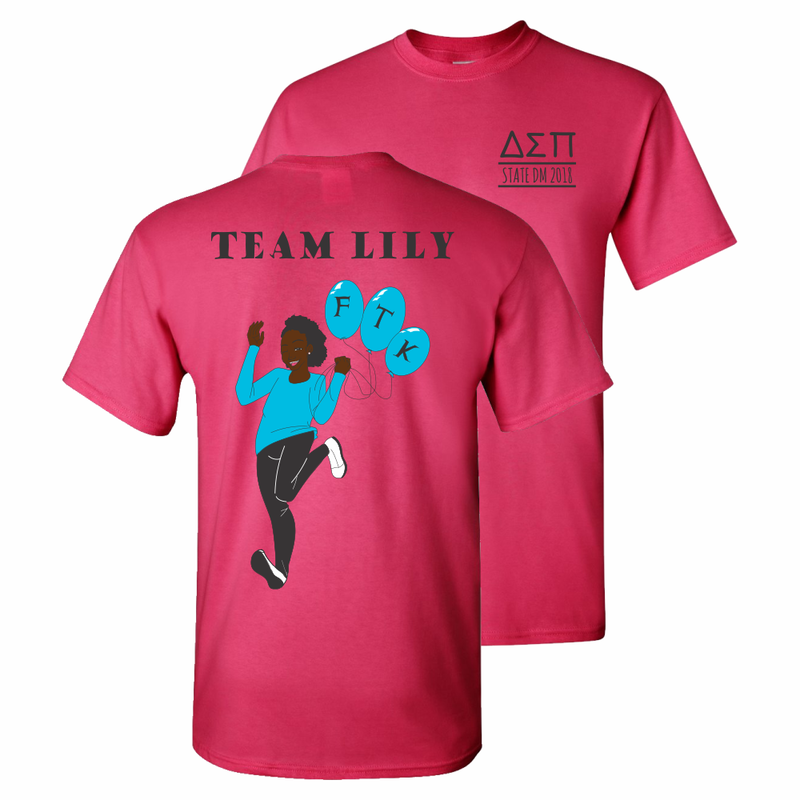 You can also get shirts to give out to your prospective members to keep you on their mind when the time comes to decide which House they want to join. To get the shirts you really, really want, it is best to start early. Some of the most popular colors, brands and styles may be out of stock. 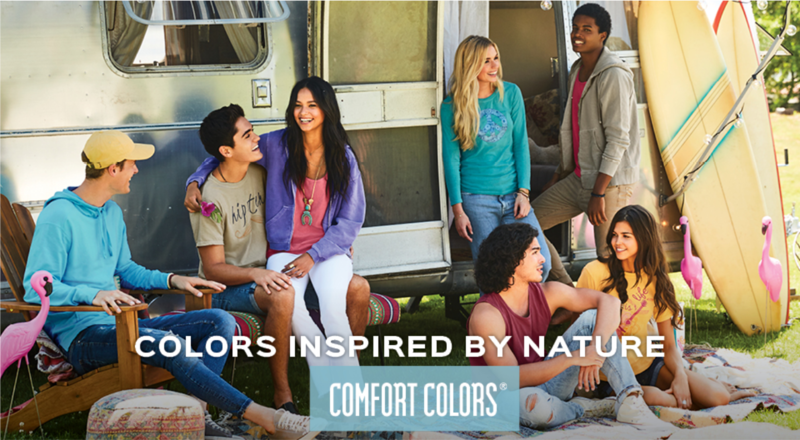 So, if you need Comfort Colors pocket tees in Chili Pepper (or something else specific) then let’s jump in now. That way if they aren’t available we have time to wait for stock to rebuild, or to find a suitable substitute that you will love. When you wait to order your shirts just a few weeks before you need them in hand, it sometimes leads to drastic changes in color or style. I don’t want that for you or your organization and that’s why I suggest getting a head start for the year. Let me help you by making the ordering process easy and hassle free. My team is ready to help. With our knowledgeable staff, helpful customer service representatives, in-house artists and an awesome production team all under the same roof, we make sure your shirts are exactly what you want. 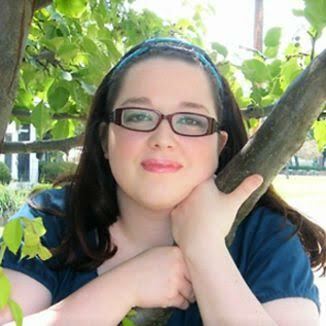 Whether you’re a seasoned pro, or a newbie to ordering custom shirts, I will help you every step of the way. And to make it even easier for you please read the section below about our amazing Web Store option. Some of the hardest parts about getting custom shirts for your organization is collecting all the details. You have to make a list of everyone’s sizes, tally up all the quantities, and you also have to collect everyone’s payments. That is a lot to deal with, especially when you are already busy with your education and other responsibilities. Well, with a custom Web Store all that hassle goes away. I will handle all of those details starting by creating a web store with your shirt options, colors and design. Then I will take the orders, tally the sizes and collect the money. All I need is a contact person to discuss your needs and set up pick up or delivery of the finished goods. There is nothing better than standing out on campus and letting everyone know you belong to the Greek Life. 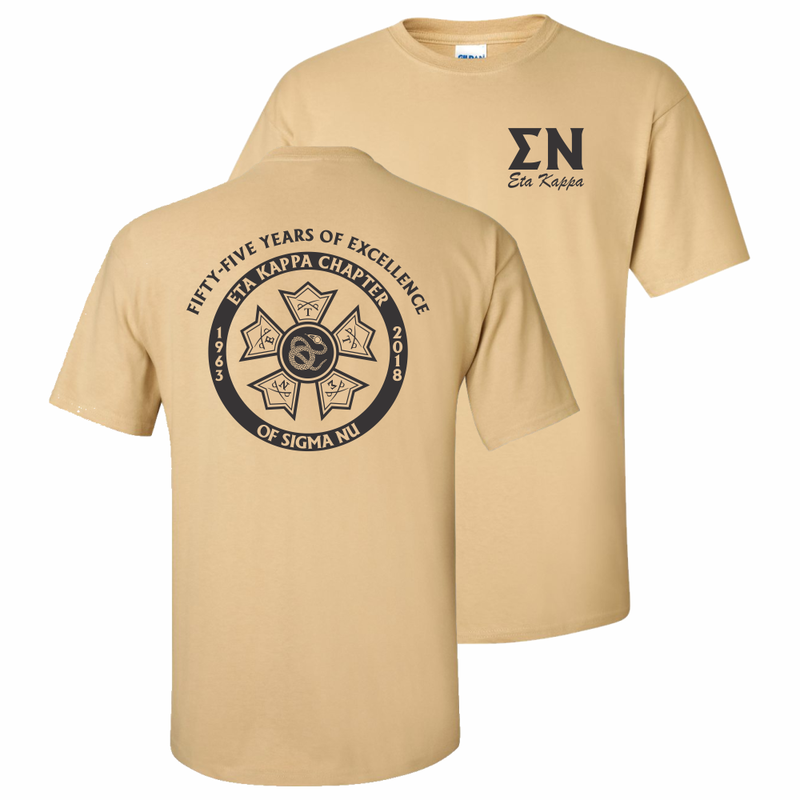 With custom shirts you can represent your Fraternity or Sorority with Pride. I have worked with many different chapters over the years and I’m proud that Graphic FX is licensed to imprint Greek symbols for Fraternities and Sororities. 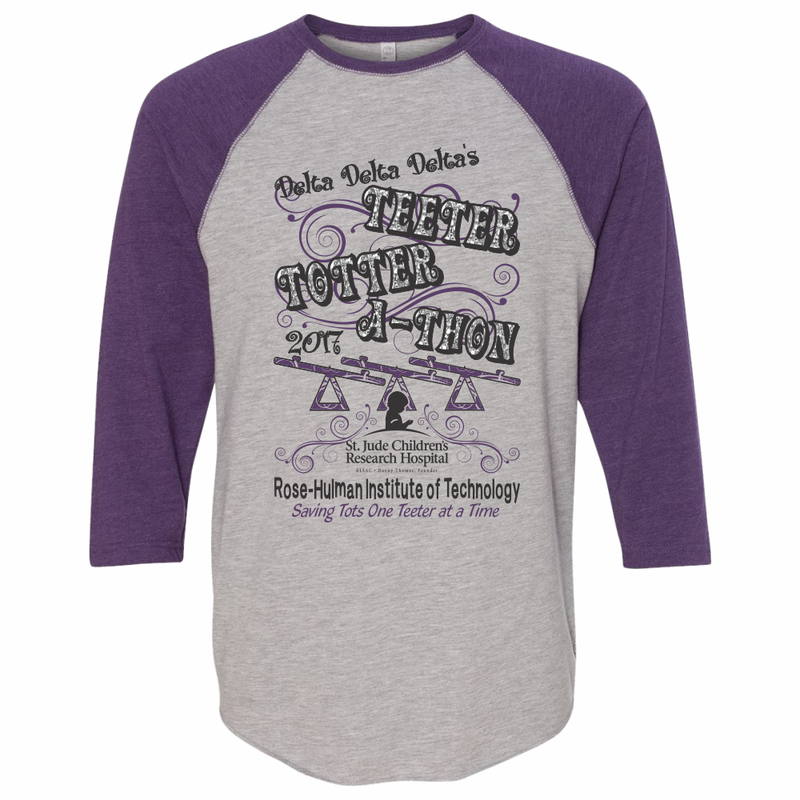 Customized apparel is a great way to show Unity and Pride in your organization. Here are some of our featured products. Want more brands, styles and colors? Click the link below to see our online catalogs. Let us create an amazing design for you! 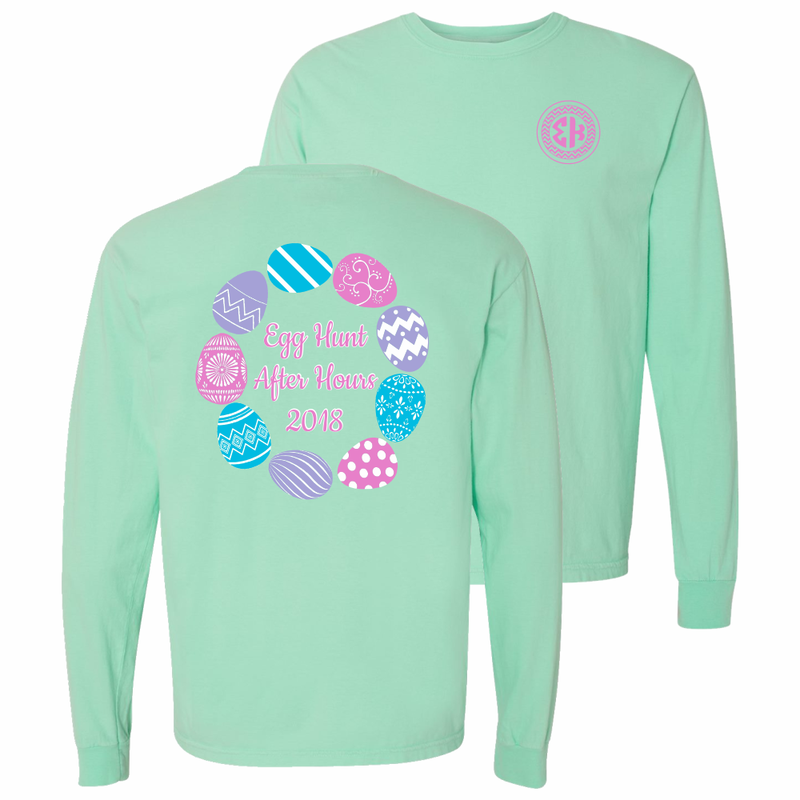 Here are just a few of the Greek shirts we have designed for chapters just like yours! Inspired by a design above? Tell us your ideas for your design. Our art team will create something personalized for you. What can Graphic FX can do for you? We can create and print custom designs for all of your events. Such as Bid Day, Rush Week, Philanthropy, Trips, Parties, any and all of your social gatherings and events. Our amazing team of artists are sure to create a design that will make you stand out! 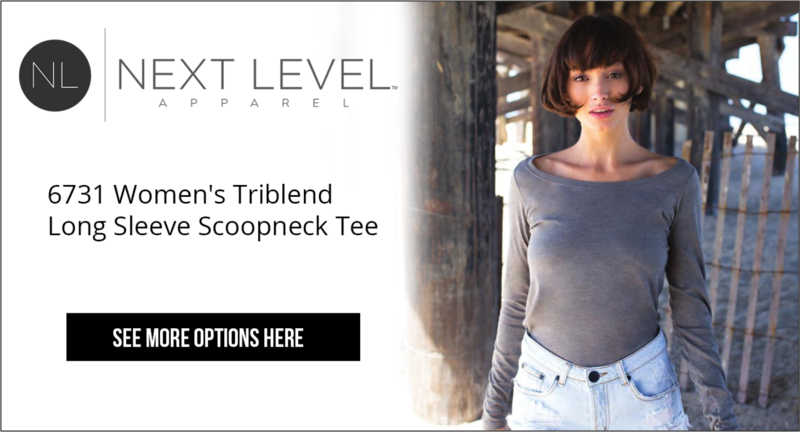 We will stick to the designs that best fit your needs and that you’ll want to wear for years to come. Whenever your event is we’ve got you covered. From the time you place the order until it’s in your hands in as little as 10 Business Days. In a rush? Get in contact with us and we can get you our High Priority Service and change that to just 5 Business Days for in stock items. We offer more than just apparel! We have 1,000’s of other promotional items available for giveaways- hats, bags, cups, bracelets, stickers and many more. Let us help you find that perfect giveaway item that won’t break your budget. Say Hello to Karen! YOUR customer service agent. Karen, is an expert with an eye for quality. She has what it takes to get you an amazing design, and have your shirts delivered on time. No commitments or misleading info, she is just passionate about helping those in the Greek Life, and passionate about her job!